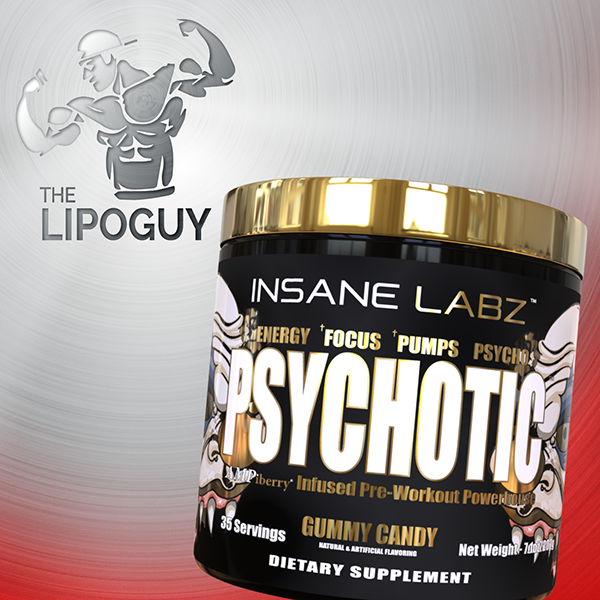 Introducing the all-new, pre-workout powerhouse from Insane Labz – Psychotic Gold. As you can imagine, this is the even higher energy, premium version of the original Psychotic. Dynamine™ has sprung to popularity of late and once you try the compound you will understand why. Extreme energy, tunnel vision focus and you do not get used to the effects. 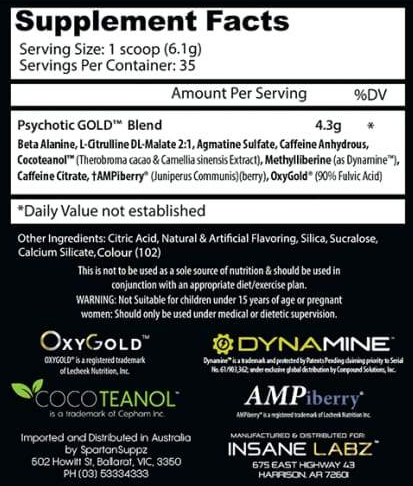 Insane Labz is known for pushing the limits when it comes to high energy products and Psychotic Gold takes this to another level. 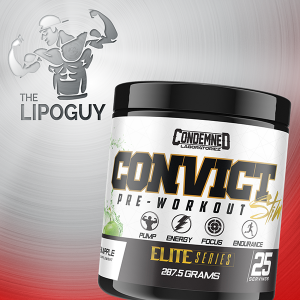 This has quickly become the fastest selling pre-workout in their line up. After your first serving you will understand why. 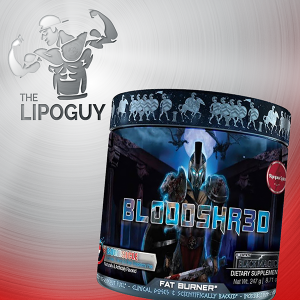 This product is only suited to experienced users of pre-workouts due to its extreme potency and hard-hitting ingredients. If you are sensitive to stimulants or this is your first product, start with half a serve. This is NOT an entry level pre-workout and has been designed for maximum effect. Mix 1 scoop with 250-300ml of water and consume approximately 15-30 minutes prior to your workout. To assess tolerance, users may want to start with ½ a scoop.